Optical table on a tripod, manufactured in stainless steel, chromed plated steel and plexiglass. This motorized rotational filming device moves a surveillance camera through a slow hypocycloidal revolution: a rotation on the periphery of a rotation. 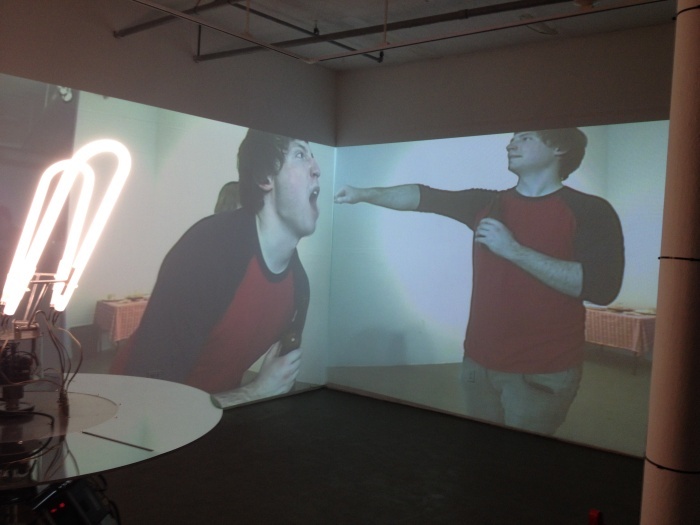 When exhibited, video signals captured by the camera are projected on a wall behind the sculpture, creating a videographic mise en abyme of the space and the people around the machine. Read the exhibition essay by Zach Pearl. Pascal Dufaux creates video kinetic sculpture with whom he produces photographic Works and media installations. Since 2008, his Works has been shown in Canada and Europe. 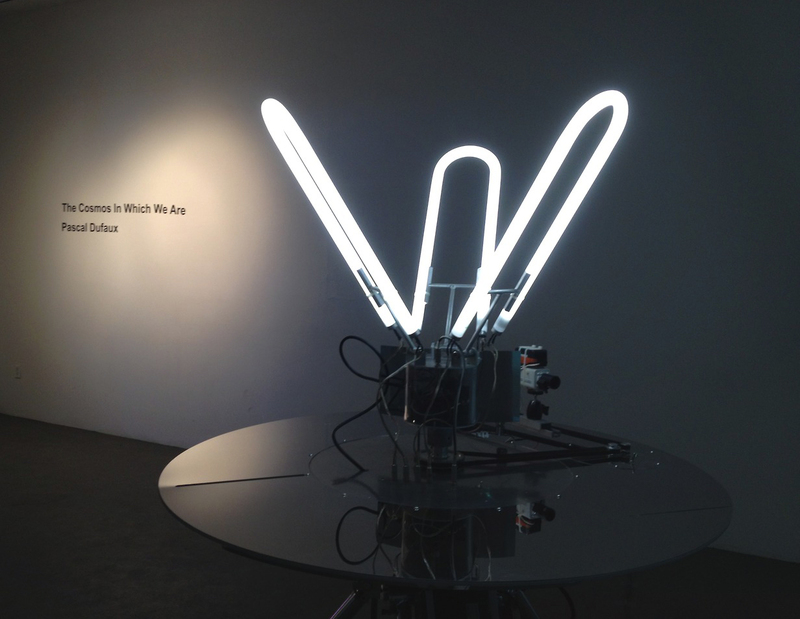 His video kinetic sculptures has been exhibited at 23e Instants Vidéo in Marseille, in the Paranoïa exhibition in Créteil, Maubeuge and Lille in France), and at the Mapping Festival in Geneva. In 2012 he has shown his video kinetic installation “Fountain” at the International Digital Arts Biennal in Montreal and His lattest video installation “Oracle” at Lab30 in Augsburg in Germany. 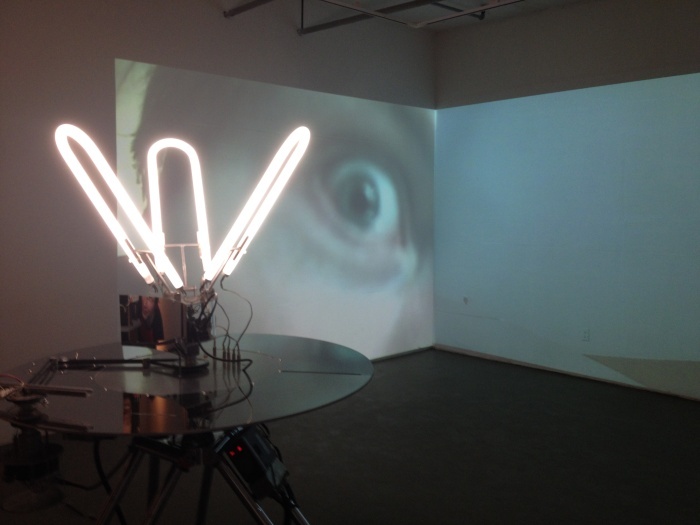 In september 2013 he was part of exhibition Drone / Automated image in Montreal. Pascal Dufaux is represented by Christian Lambert Gallery in Montreal.